This year’s NBA season started off with a bang. There was the Kyrie and LeBron saga, landing Kyrie a spot on the Boston Celtics, the unfortunate Gordon Haywood injury, and the long-awaited Carmelo Anthony trade to Oklahoma City. Dwyane Wade reunites with the Celevand Cavaliers alongside his tag-team brother LeBron James, and we can’t forget Russell Westbrook, signing his 205-million dollar contract extension on Kevin Durant’s Birthday. In the midst of all the drama, my wow moment of the season, so far has been the Golden State Warriors dropping 141 points on the Portland Trail Blazers. Another team that is doing surprisingly well this season is the Minnesota Timberwolves. They already have two close wins over the OKC Thunder, and an overtime win against the Miami Heat—games that maybe they didn’t win last season. It would be nice for Anthony Davis and Demarcus Cousins to go to the playoffs and even bring a ring to New Orleans. Philadelphia 76ers are the underdogs and a team, I want to see do well this season. I like what they have going on with a young core. Philly, Orlando, Milwaukee, Los Angeles, and New York, all have young teams with a lot of potential. The NBA is in great hands. 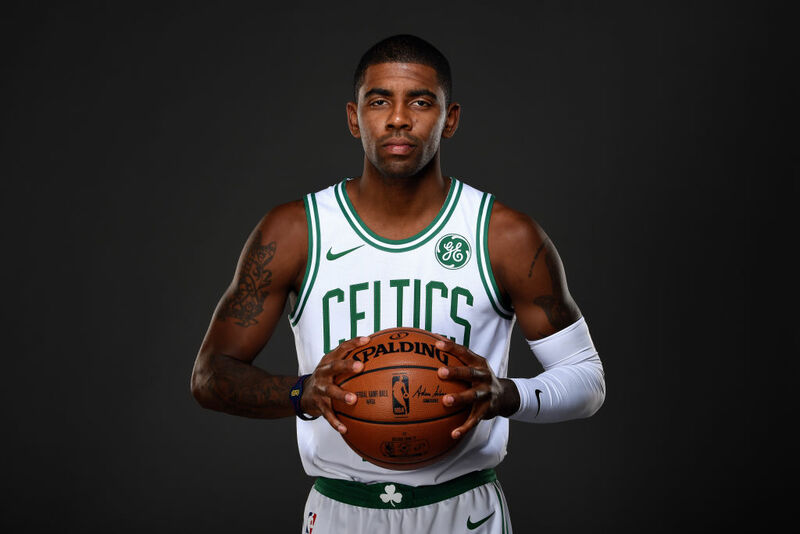 Speaking of great hands, Kyrie is in the right spot with Boston. The players have so much lead way to operate as individual entities. Kyrie walked away from ‘the easy route,’ the type of decision that creates or destroys legacies. Choosing your own destiny takes courage and belief in self, and I respect Kyrie for his decision. Do you know how much faith you have to have in yourself to leave LeBron’s Cavs? At this point LeBron is a first class ticket to the finals each and every year. Beat the Warriors and you get another ring. But that goes to show, everything that glitters isn’t gold. Who knows what goes on in the locker room, what type of pressure that is, the commotion, the situation behind closed doors? A lot of times we look at people and question, ‘how could you turn that down, how could you walk away from this or that, stop complaining,’ but at the end of the day, everyone is just working from their own perspective and playing the cards they were given. The league is pretty top heavy now, but I think in the long run, it will be good for future success. I think it raises competition for teams, they know they have to be really good to win a championship, because all of the champion teams are stacked. I think now we won’t just see players emerging as great but we will see teams rise up as great teams, dynasties so to speak. And with less teams having one proven superstar to cater to on each team, they have room to give the rookies a chance to develop and become leaders. The teams late in the draft will typically be the teams with the superstars, and the early draft teams will typically be the young teams, adding more top picks.